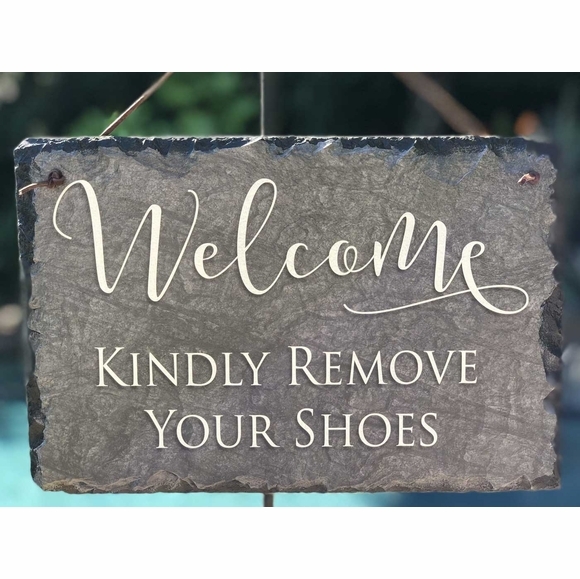 Please Remove Your Shoes Welcome Sign - - solid slate sign made in USA. Colors: gray with ivory wording. Please Remove Your Shoes Welcome Sign solid slate sign made in USA. Made from hand-cut, fine-grained slate.